Location: New York City area. 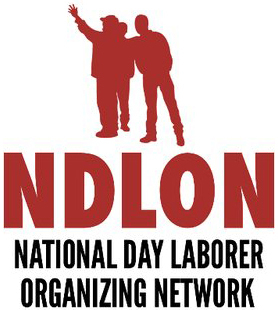 ABOUT NDLON: National Day Laborer Organizing Network (NDLON) improves the lives of day laborers in the United States. To this end, NDLON works to unify and strengthen its member organizations to be more strategic and effective in their efforts to develop leadership, mobilize, and organize day laborers in order to protect and expand their civil, labor and human rights. POSITION OVERVIEW: Works to build NDLON’s network of members, activists and leaders. Responsible for recruiting new members, engaging them in the work of NDLON, and developing leaders. Implements Workers' Rights enforcement through Manhattan Justice for Workers Collaborative, which include outreach, referrals and case management for workers with wage theft and health and safety issues. Implement organizational outreach and organizing plans to further the mission and goals of the organization. Please send a résumé and a detailed cover letter explaining your interest in NDLON’s mission and why you are the best candidate for this position by email to: jobs@ndlon.org. Use NDLON Organizer/MJWC Program Coordinator as your subject line. Applications will be accepted on a rolling basis. You must have all materials requested and follow instructions provided above to be considered.